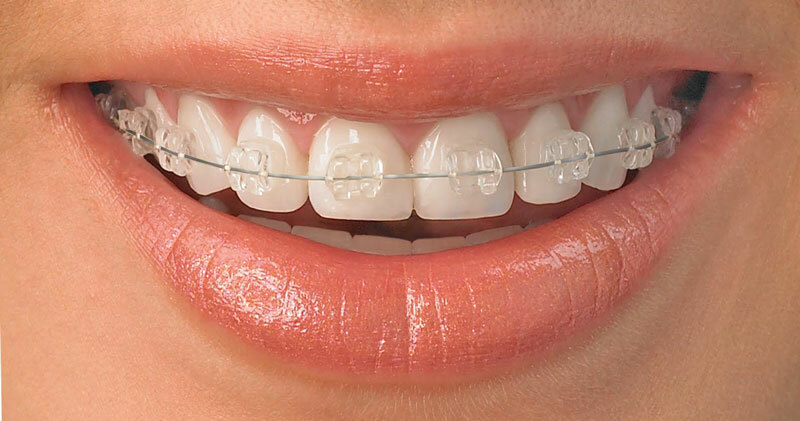 Ceramic braces fit on the front of teeth and are tooth -coloured. 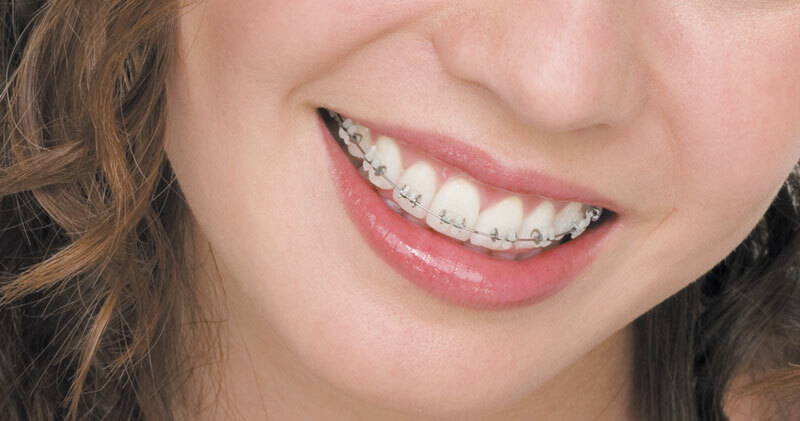 They are much less noticeable than conventional metal braces. 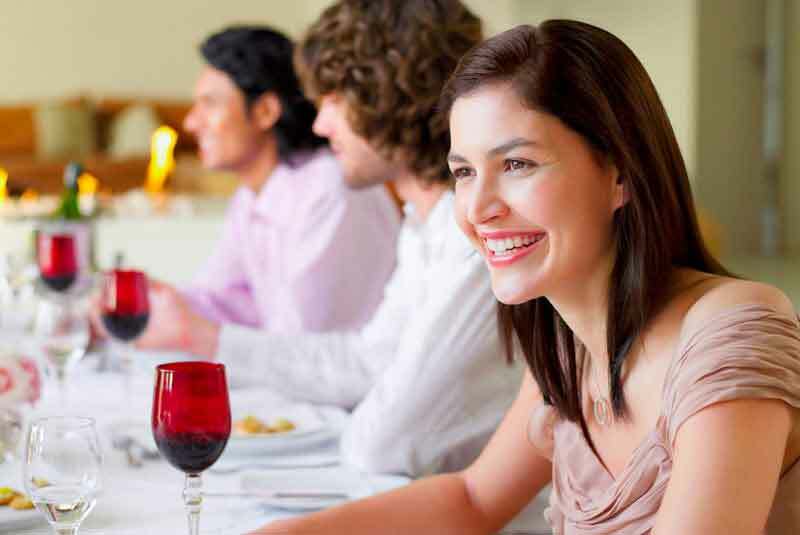 Make a fashion statement & have some fun whilst having your smile improved. Do you want straight teeth and a fuller, more beautiful smile without the awkward look and discomfort of traditional braces? You no longer have to settle for metal brackets or clear aligners. Smile101 offers Damon Clear, a virtually invisible braces system that delivers fast, comfortable treatment without the “metal mouth” look to accommodate today’s image-conscious adults and teens. 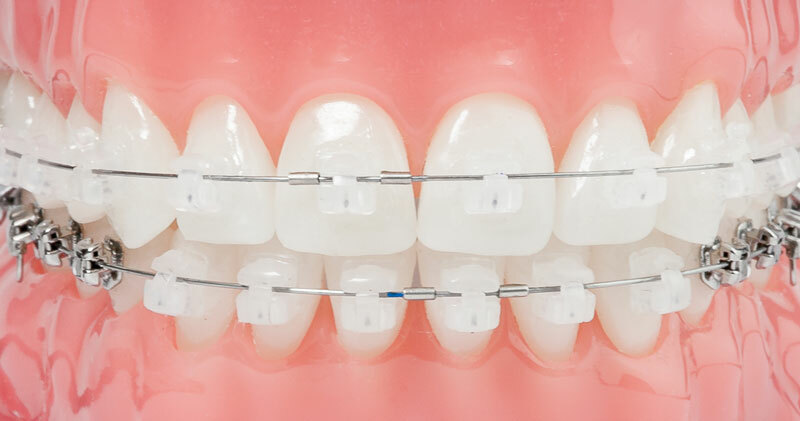 Traditional braces require elastic ties to hold wires in place, which can accumulate bacteria, stain or “yellow” during treatment and often require uncomfortable “tightening” that can actually hinder tooth movement and prolong treatment. In contrast, Damon Clear braces resist staining with the innovative Damon Smile “tieless” brackets and high-tech memory-shaped wires that eliminate the need for uncomfortable periodic “tightening.” With Damon, the wires move freely within the brackets for better oral hygiene and appearance, as well as fast, comfortable tooth movement. Damon Smile treatment uses light, continuous force wires with tieless brackets. The gentle pressure exerted by Damon Smile discourages the need for tooth extractions and the use of headgear in the vast majority of cases. The ultimate fashion accessory in orthodontic wear. Radiance is a beautiful ceramic made from pure grown sapphire, with an exceptionally clear, smooth, and contoured design. Clarity ceramic braces have an attractive appearance designed to blend in with natural tooth colour. Empower is a technologically advanced ceramic with high performance self-ligating clips that look brilliant on your teeth and go virtually unnoticed. Damon clear is a fast and effective brace with self-ligating clips rather than ties. Damon is brilliant for widening your smile and can usually be done without expansion devices or extractions.